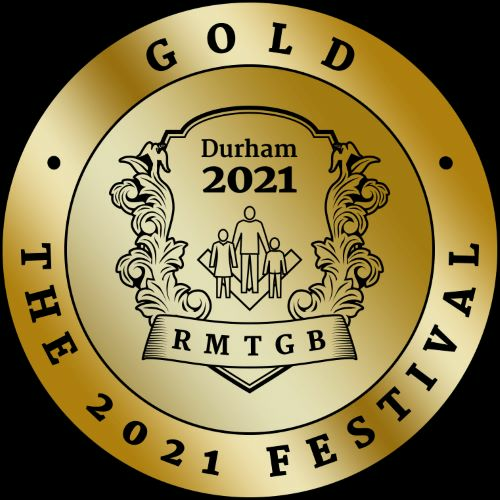 The next meeting will be held on Wednesday 20th March 2019 commencing at 6.45pm promptly. We will receive a talk entitled. "The Preparation of the Candidate" from W Bro Brian Stonehouse. Please join us and contact the Lodge Secretary for further information. The internet provides us with a wonderful opportunity to get to know Masonic Brethren around the world. Please leave a message in our guestbook, telling us about your Lodge, its location, and a little of its history. 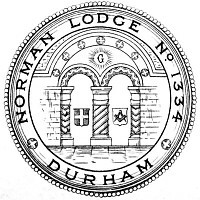 We are very proud of the fact that our Lodge has been in existence for 146 years, meeting in the same Masonic hall, in Old Elvet, Durham City, Co. Durham, England. A city which can trace its history back more than a thousand years, to the arrival of a religious community seeking a permanent resting place for the body of St Cuthbert of Lindisfarne. As a shrine for their saint, they built first a wooden, then a stone church, on top of a rocky hill, protected on three sides by the River Wear. The result was one of the most impressive construction projects ever undertaken. The panoramic view of the Cathedral and Castle has been described as ‘one of the finest architectural experiences of Europe’ and together they are now designated a World Heritage Site. As Worshipful Master of Norman Lodge I hope to continue the good works of my many distinguished predecessors. Our Lodge meets 10 times a year, on the third Wednesday of the month except for July and August when we take our summer break. We welcome visitors from Lodges around the world working under constitutions approved by the United Grand Lodge of England (UGLE). Please contact our Lodge Secretary for information if you wish to attend our Lodge meeting.